i-Path’s proprietary franchise eSTAT is designed as a digital and print branded platform, which serves as a source of News, Clinical Information, and Clinical Insights that is trusted by thousands of healthcare professionals. 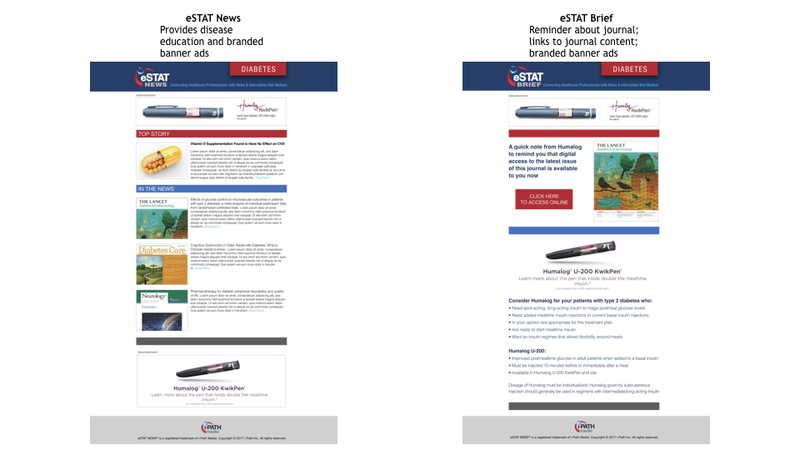 eSTAT News– This Weekly e-newsletter is tied directly to disease state information relative to your brand. With content powered by Elsevier, eSTAT News offers branded banner opportunities and plenty of reach and frequency. eSTAT Brief – This electronic table of contents is tied to journals in your Journal Cover Wrap Program. With content powered by Elsevier, eSTAT Brief offers the user the opportunity to pick key articles featured in their journal cover wrap program journal. Time and time again we are told HCP’s love the quick reference format. eSTAT Connect– This on demand e-mail is driven by your reach and frequency requirements. Powered by your formulary and Access messaging, this targeted tactic is a crowd pleaser. 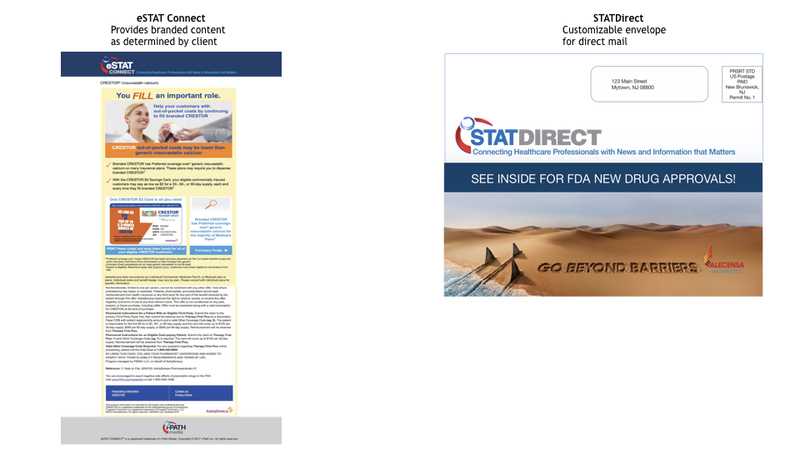 STAT Mail Direct– The perfect compliment to our eSTAT Franchise, STAT Mail is designed as a vehicle to deliver those collateral pieces necessary to tie a nice neat bow around your target audiences digital experience.